These pair of leggings consist of cotton jersey. 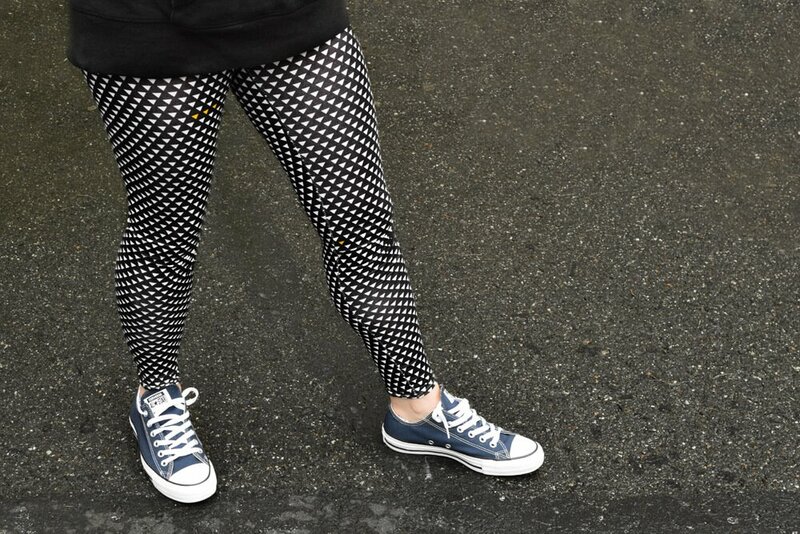 I’m using an old pair of leggings to use as my pattern for a good fit. 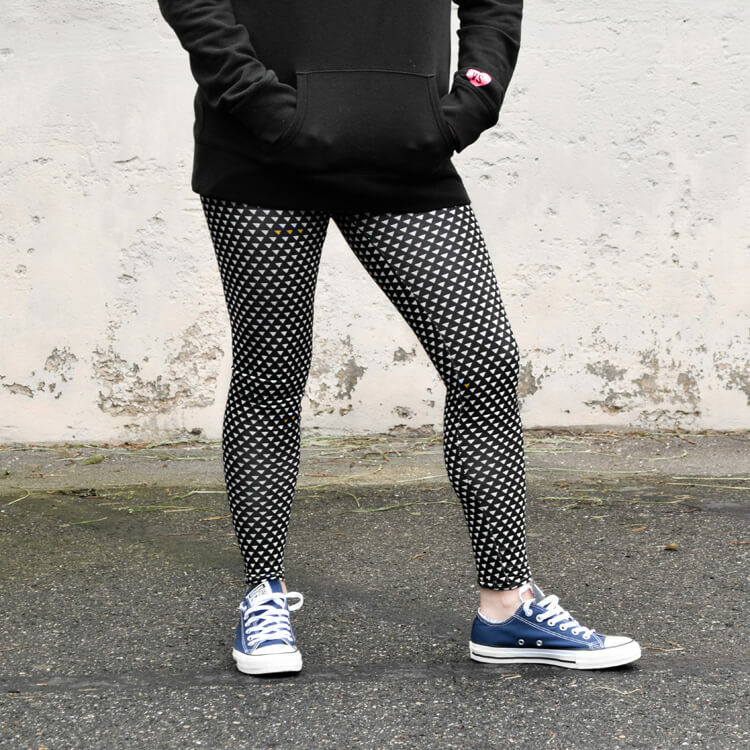 Any stretch fabric that has at least 5% of spandex in it will work fine for these leggings. 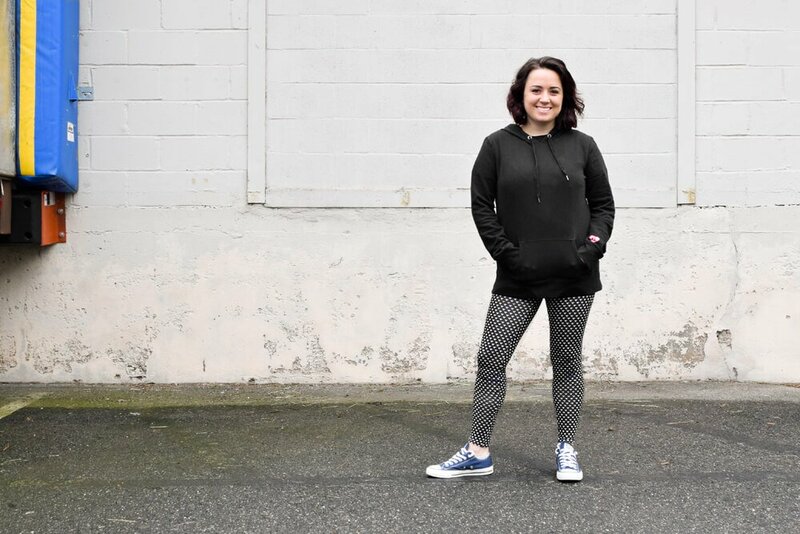 Leggings are so comfy to wear especially lounging around the house! 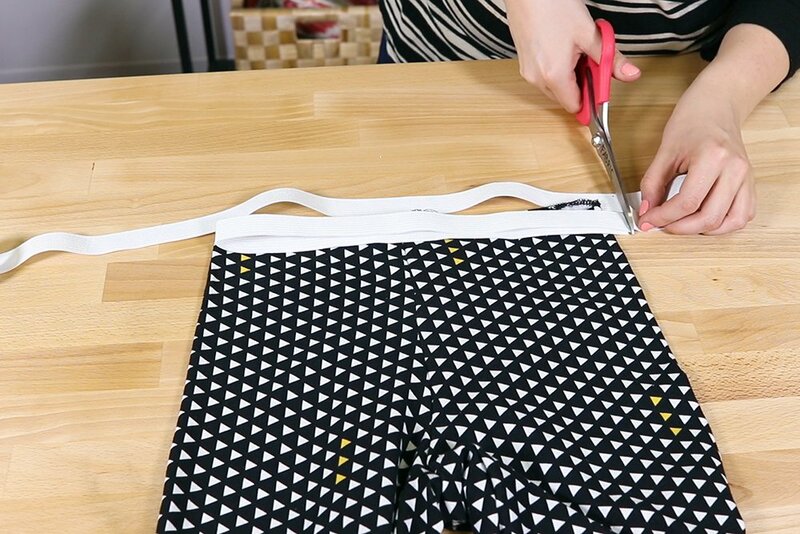 First take apart the old leggings and undo the stitches at the waistband and ankles. Iron one of the legs of the old pair of leggings. 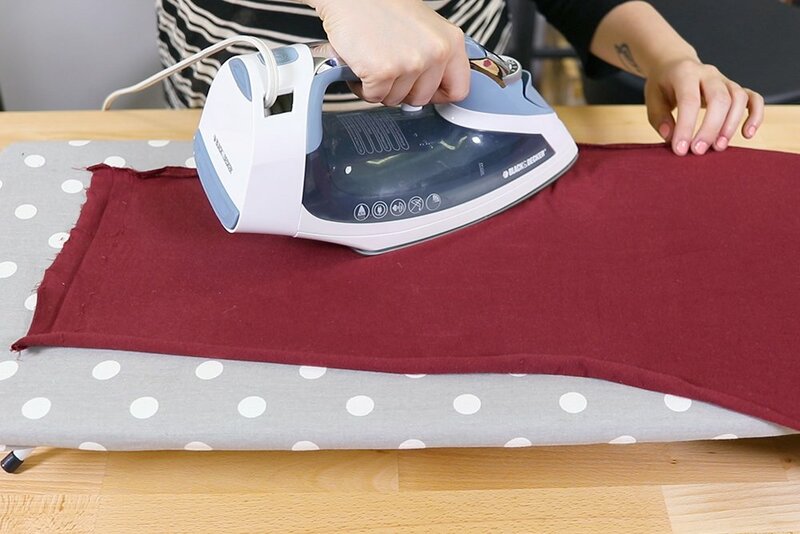 Fold the fabric in half and make sure that the stretchier side is vertical to you. Place the legging on the fabric. Pin around the legging and cut. Serge all the sides of both pieces of fabric. 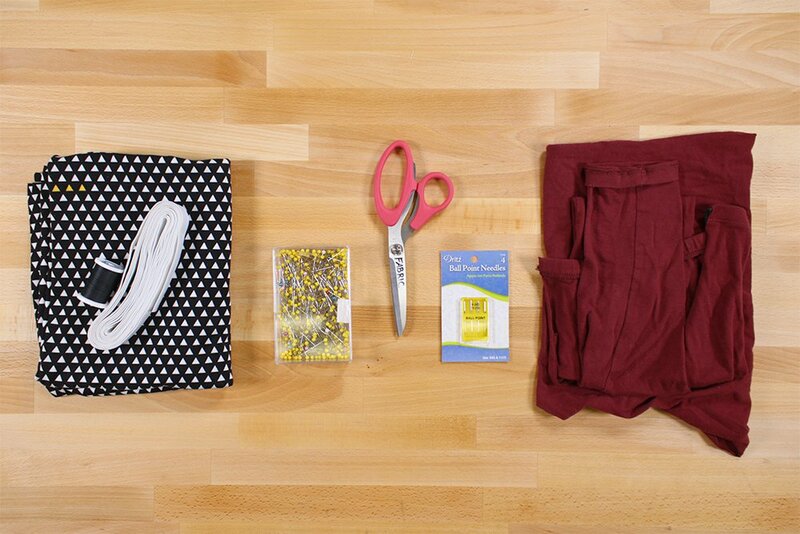 Take one piece and fold it so that the right sides are facing together and the points match up. From here to the bottom pin and Stitch with a quarter inch seam allowance. Repeat this step for the other piece. Line up the legs so that the inside seams meet. Pin from the bottom to the top on the front and back of the legs. 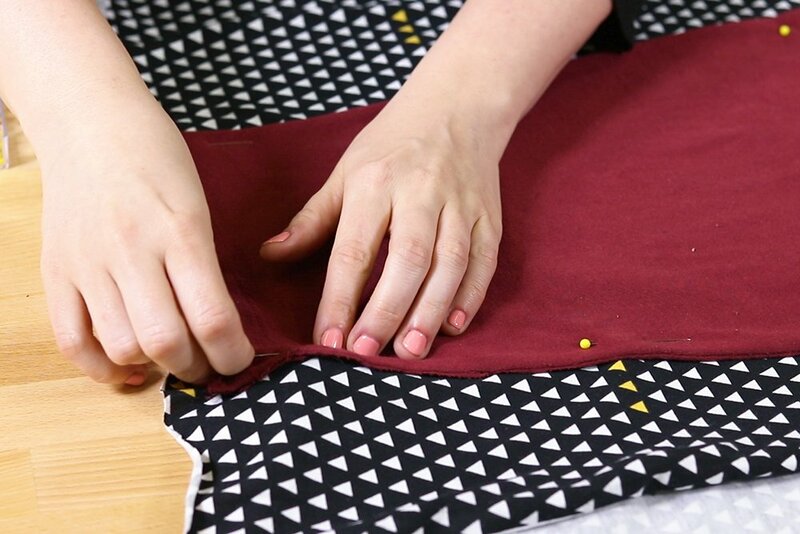 Stitch with a 1/4″ seam allowance. Turn the leggings to the right side. 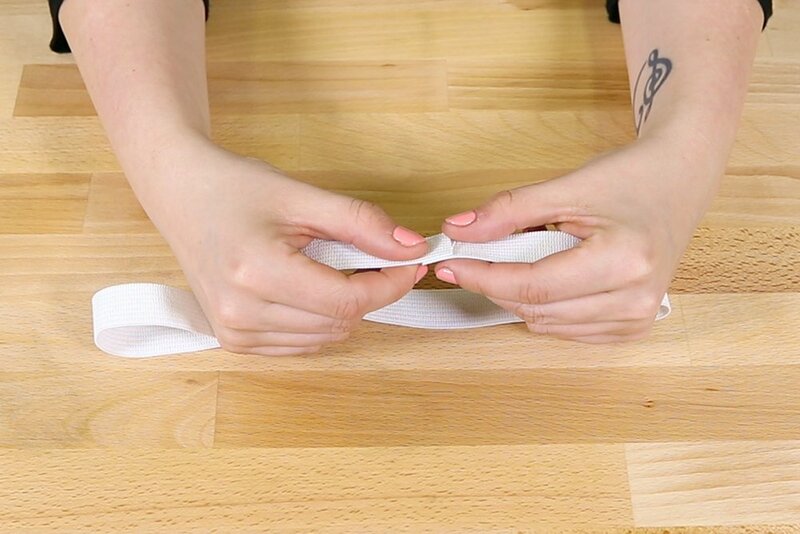 Place the elastic on the waistband. Fold it in half and cut so there’s about an inch extra. 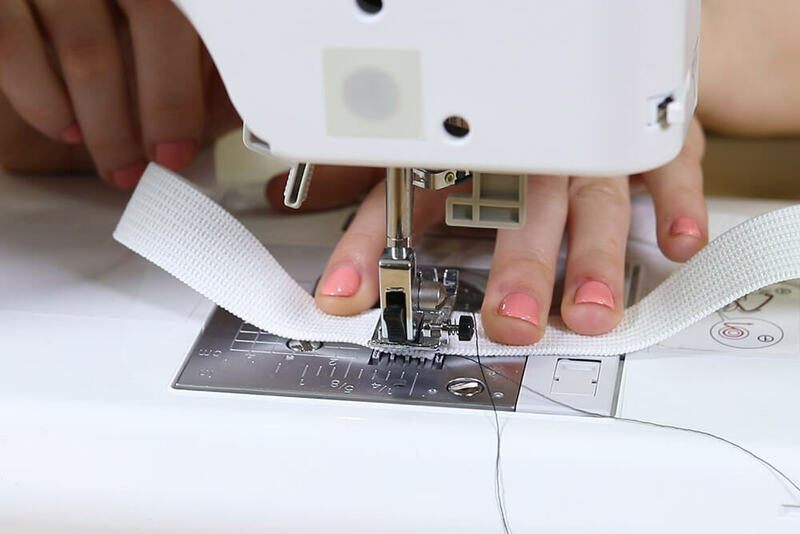 Overlap the ends by a 1/2 inch and stitch together using a zigzag stitch. 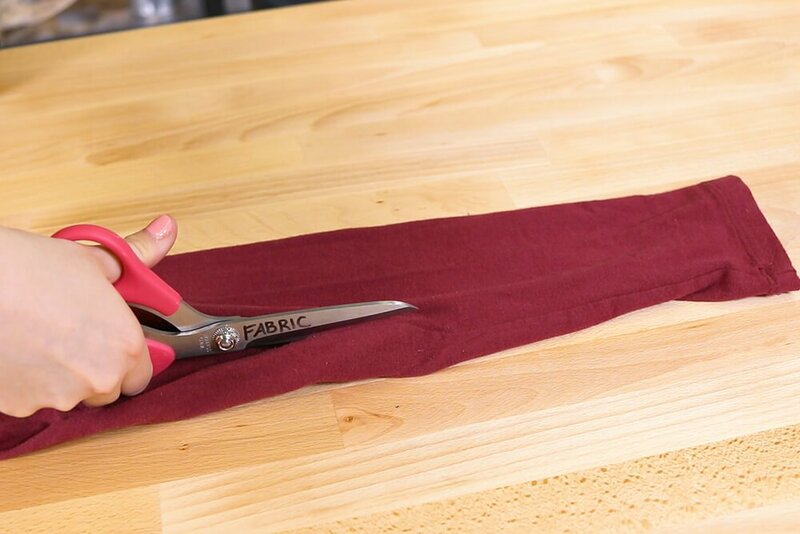 Fold the edge of the waistband in so that it overlaps the elastic. Pin in place and stitch along the edge. 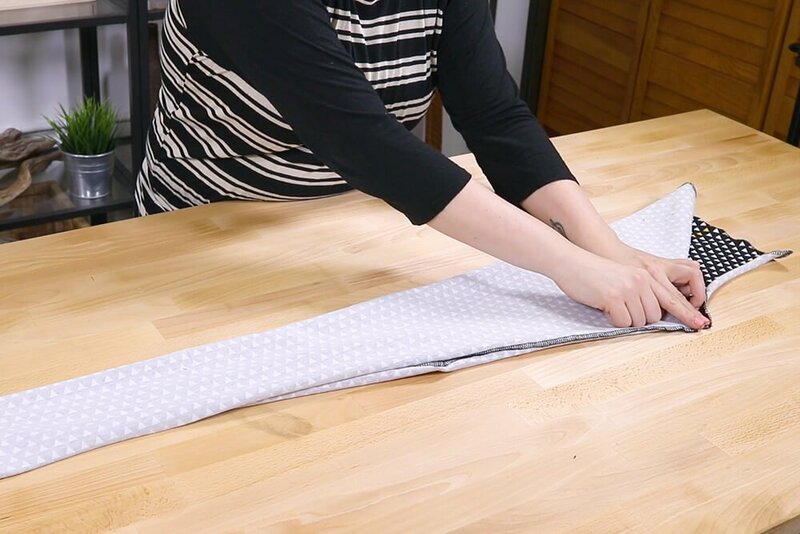 Gently guide the fabric as you’re sewing. Back stitch at the beginning and the end. Find more jersey knits here! 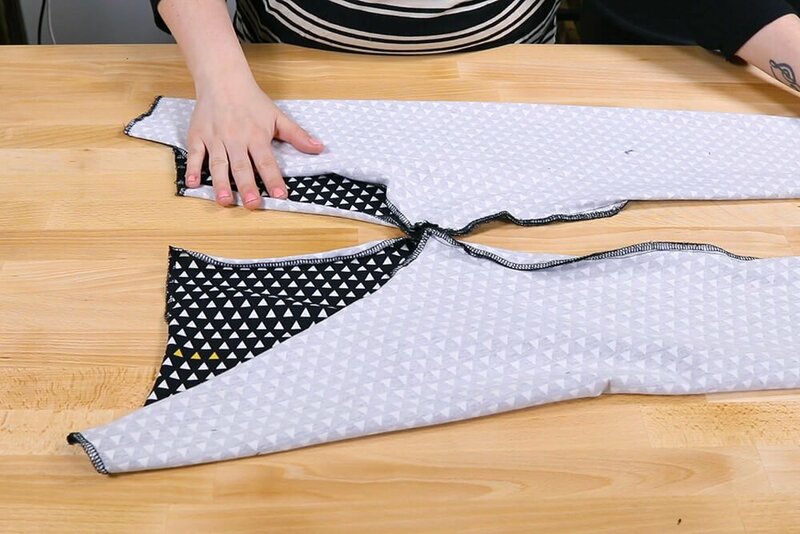 Can you make this without using a serger? 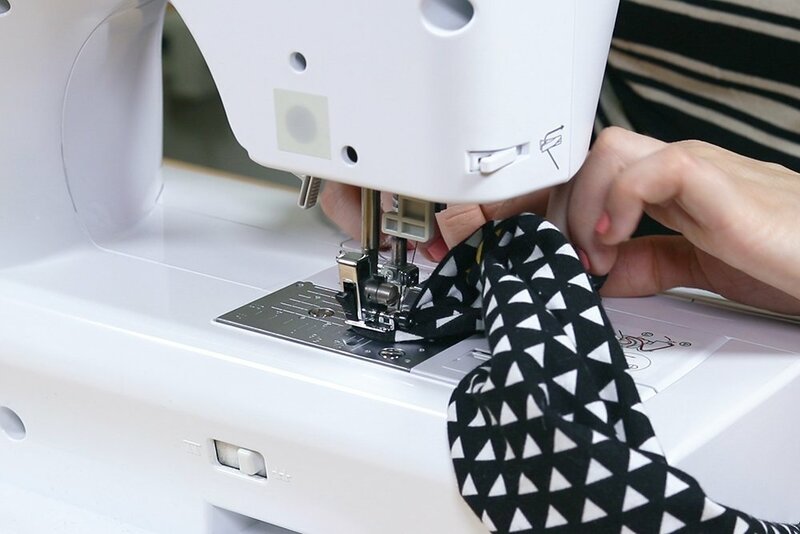 BEST ANSWER: Yes, you can use a zigzag stitch or overlock stitch on the raw edges using a regular sewing machine.